This small German-language after-school program faced challenges in recruiting new students, especially from non-German backgrounds. The school had a very small tech-averse staff and heavily invested in marketing their after-school programs in local print media. They needed to redesign their HTML-based website, which had not been updated for many years (bottom image). The site felt antiquated since it used the color scheme of the German flag: black, red and gold. The client was worried that the “patriotic feel” of the site would deter non-German parents from signing up their kids. In addition, the yellow background throughout the site made it very hard to read the content and to find the school’s call-to-action to register new students. The old site was non-responsive to smaller screen sizes. It used very few low resolution images and a number of generic stock visuals. 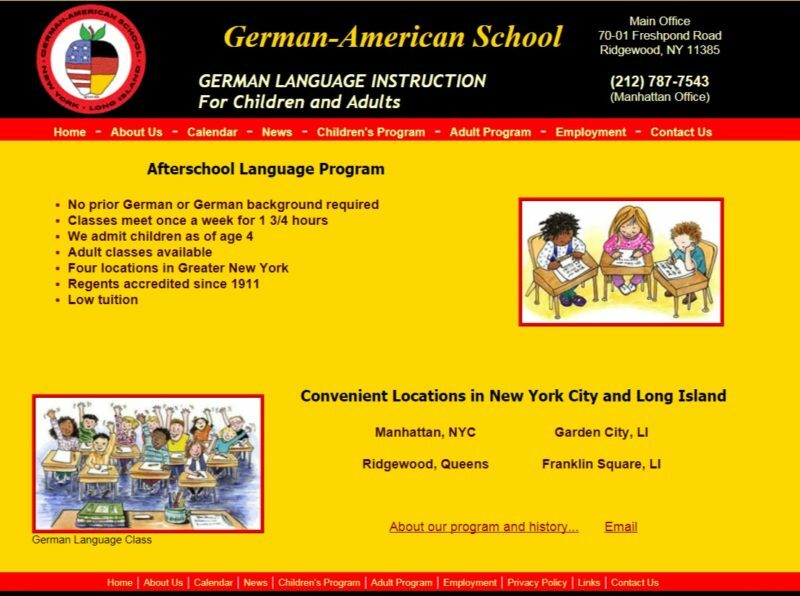 The new website needed a fresher, modern look that would also attract parents that had no German background. 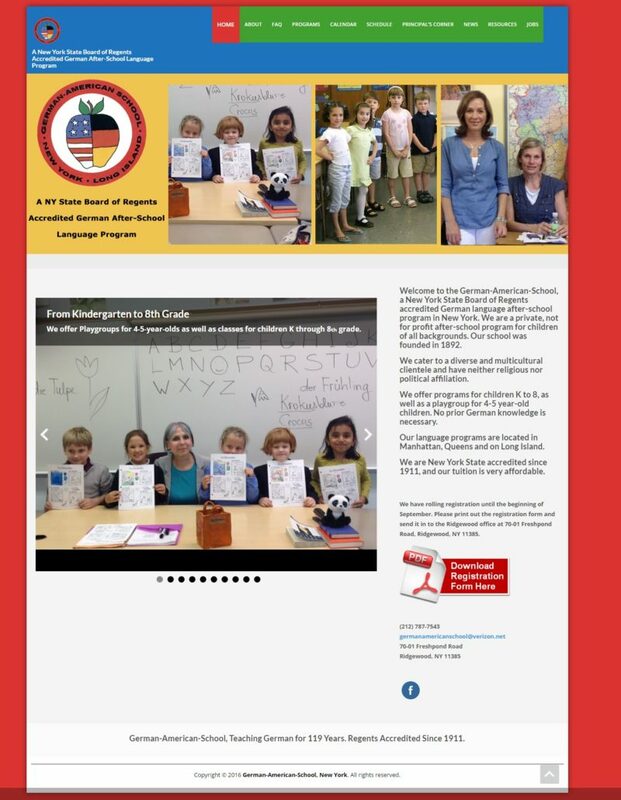 The site needed to be mobile-friendly so that parents could get all the information regarding the school and the registration process on their phone or tablets. I moved the site to the WordPress platform and redesigned it with a much more playful, colorful feel, as a virtual schoolhouse. The design incorporated many high resolution photos of students and teachers. In addition, I created a few short videos, where students of all ages explained why they learned German, as well as brief video clips of classes in action and children practicing their German. I added a clear, prominent call-to-action on the homepage on how to register and a brief intro about what sets the school apart. The slideshow featured high-resolution photos and helped showcase the unique nurturing feel of this after-school program and its diverse student body.